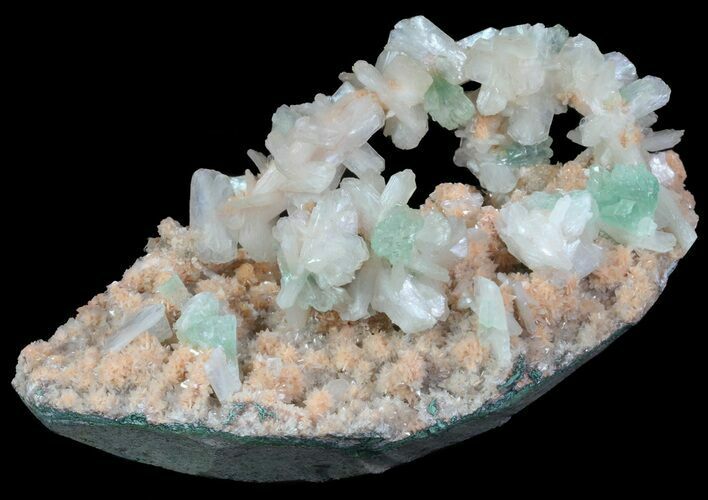 This is a unique, 6" wide specimen of faint peach colored stilbite and green apophyllite on a bed of naturally orange heulandite crystals, from Aurangabad, India. 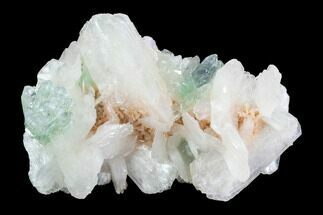 The matrix has a natural arch from which these minerals formed around, giving the specimen a truly unusual appearance. 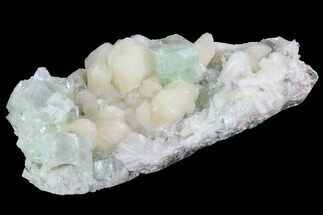 The base has been cut flat, allowing for aesthetic presentation. 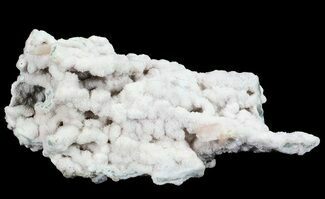 Stilbite is probably the most common zeolite found in these deposits. 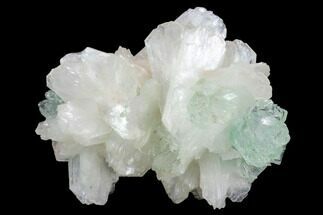 Crystals often form flowery, bowtie or hourglass shaped structures and come in a variety of colors. 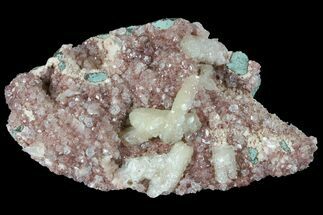 Some of the most beautiful colorations are the pink or peach tints. 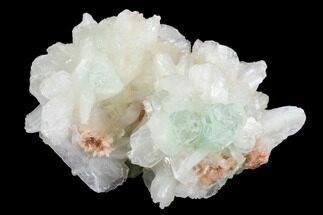 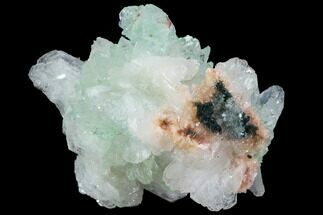 Apophyllite while not a zeolite itself is almost always found associated with zeolites in the same pockets. 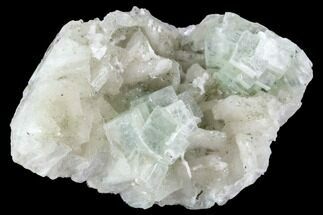 It has two crystal habits, a rectangular prism capped by a steep four sided pyramid or a pseudo-cubic structure. 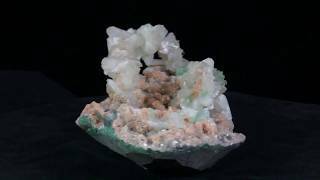 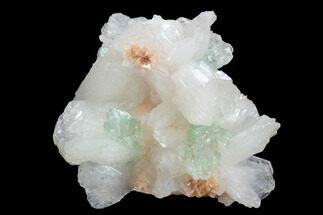 While not a well known mineral to the general public it is popular among mineral collectors due to it's pastel colors and beautiful crystal formations.